I love a good proposal, often making me just as nervous as the couple as I sneak around trying to blend in or hide in bushes waiting for them! 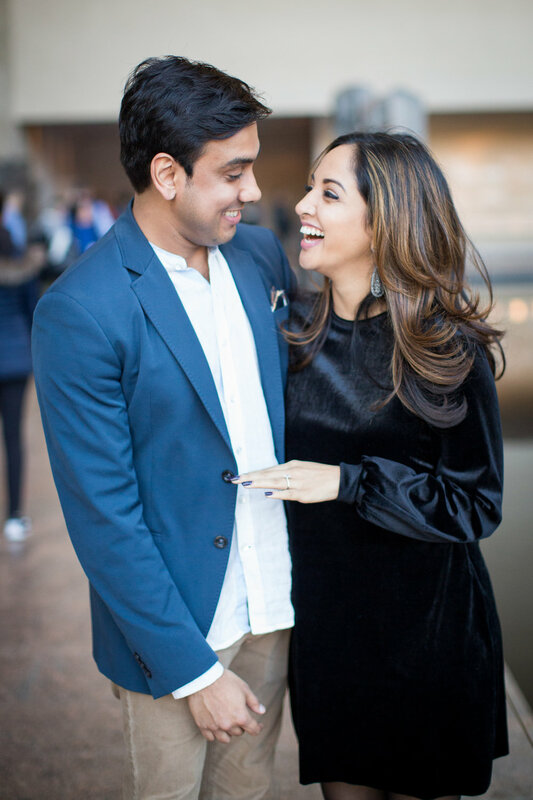 This time Ishaan reached out with the plan to propose to his love, Bhumi, at the Temple of Dendur in the Metropolitan Museum! I staked out a spot and waited for them to arrive, nearby the pond. When he popped the question, she had NO idea and burst into a happy fit of laughter and tears. We ended up doing some shots in the museum then venturing out to Central Park for the rest of the afternoon. She absolutely loved the day and Ishaan couldn't have done it better.